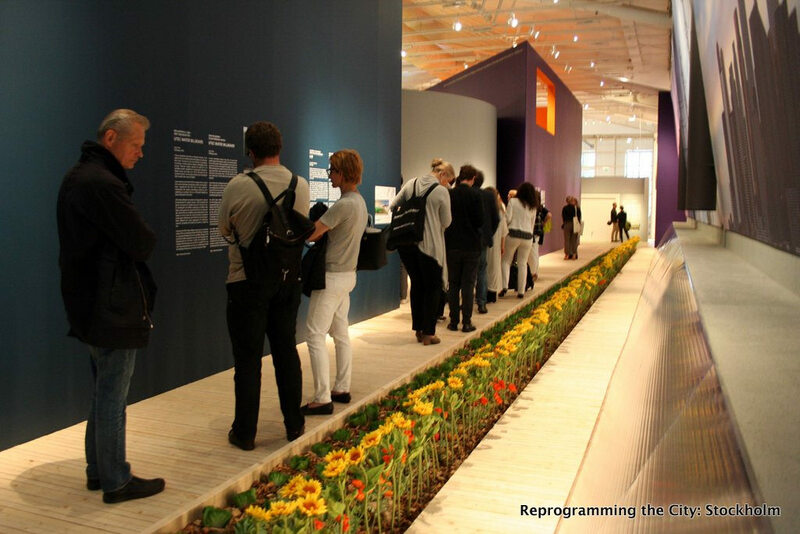 At ArkDes, Reprogramming the City focused its aim at how existing urban assets are being reprogrammed to address some of the most pressing urban problems in the areas of Water, Food, Housing, Energy and Wellbeing. If you’re new to the project, Reprogramming the City is an exploration of ideas, prototypes and proposals for how the existing structures, surfaces and systems of the city can be repurposed and re-imagined to do more than their original function. It is about looking at the existing assets of the city and asking “What More” could they do, and “What If” the city did more with the things it already has. Reprogramming the City is about experiencing the hidden potential of the city. The word experience is an important one to highlight in the context of the Stockholm project. 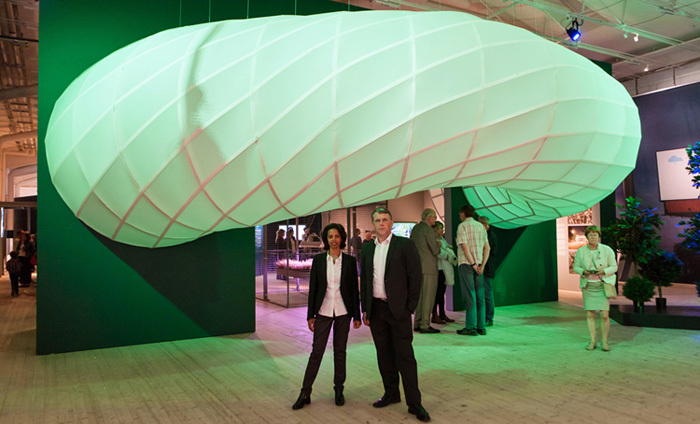 The scale and size of Reprogramming the City at ArkDes allowed visitors to directly experience repurposed and re-imagined urban structures, surfaces and systems. Information and imagination are vital, but touching, feeling and sensing new urban ideas makes potential seem probable. A real pleasure in putting together Reprogramming the City: Stockholm was working with Rahel Belatchew Lerdell of Belatchew Arkitekter, the firm behind Buzz Building, a proposed repurposing of an existing Stockholm roundabout into a future food source for the city.